Welcome to Woof Wednesday. Please meet some special dogs from IN NJ, NY and PA all in need of good, loving homes. Meet Bear a Jack Russell Terrier. Bear is an adorable, absolutely wonderful little fella! He is slightly active but yet mostly calm, sweet, & very well behaved. He is very sweet and is friendly to all people, including children, other dogs, & cats too! He is a complete joy to be around and will make someone very happy! Bear is neutered, vaccinated, & housebroken but he is currently Heartworm positive. 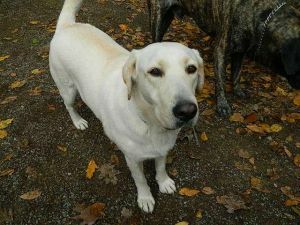 Bear will receive his Heartworm treatment prior to adoption. Bear has been patiently waiting to meet his new forever family and is truly hoping that someone is you! Tula is a 12 year old senior, weighing approximately 17 lbs, whose owners no longer wanted to care for her medical needs. They dropped her off at a high kill shelter because they were tired of giving her needles for her diabetes. She is a beautiful, little dog who has alot of love to offer, but will need an owner willing to take care of her medical and grooming needs. If you can offer this sweet girl this kind of home, please fill out the online adoption application. Let's find this special girl a loving home! He is a sweet Shepherd type mixed breed dog. This poor guy has had a hard life already and he isn’t very old. When he originally came to the shelter, Chip had an injury to his leg that resulted in him having to have his right front leg amputated. He weighs approximately 40 pounds and is about 1½ years old. He has been vaccinated and is now available for adoption. He is great with other dogs, cats, children and even housebroken. Please lets find this guy the family and loving home he deserves. Madison is 2 Years old, very friendly and playful, right now she is in Columbus, IN in a foster home. She gets along great with other animals and all people. She was rescued frrom living chained her whole life and is such a loving and sweet dog who did not deser ve such a lonely and sad existence! She is fully vetted and including vacinations and spayed. Lets show this sweet girl what it means to have a home. Please lets find her a good home! Jason is a Cocker Spaniel/ Poodle mix, he is a senior male who is looking for a loving home. Please let's find this great guy the home he deserves. Kate & Spencer are a bonded pair of bichons. Both are spayed/neutered. They have lived together their entire lives so we will be looking for a family who will take both dogs together. Kate is 9 yrs. old & Spencer is 7 yrs. old. They came to DVBR a couple of years ago and were placed with an older person, however, she is ill at this time and can no longer care for this wonderful pair of dogs. Kate and Spencer LOVE one another. They are absolutely fine with other dogs. We don't know about cats. We would assume they'd be fine with kids, although they haven't been around kids in many years. Both dogs are lovable, affectionate and sweet but also playful and rambunctious at times. If you are interested in this pair, go to our website complete an adoption application. Once we have received it, someone from the rescue will contact you. Let's find these sweethearts a home they can go to together! My name is Otter and I am 80 lbs of fun loving dog! I just love people and I am a guy with some manners. People here tell me I am a silly boy. I'd like to think that is a good thing. I arrived here with my VERY best friend Pika. I really would like to go to a home were Pika and me can stay together but I do understand if we can't. BUT just in case, you can check out my friend Pika on the rescues website. I am approx. 4 years old. I know how to sit and wait. I can be a lap dog and snugly if you want or I can be bouncy and play ball too. I aim to please. I am a good boy, really. I might bark some times when Pika decides to bark. I like to join in. I am not a digger and I am not destructive. Pika and I like to take walks together and I am good on a leash with him by my side. I like older kids. The small ones I am a bit afraid of hurting by bumping into them and knocking them down. I wouldn't TRY to but sometimes it can happen. I have heard people say I am a handsome guy. So if you are looking for a guy that is handsome, likes to play, take walks and will cuddle, you found him! Give us a call real soon. And don't forget about Pika. Thanks!